Dental marketing doesn’t have to be about making your practice look great. You can keep telling your patients that you provide a fantastic service and have excellent facilities, but if you don’t back this up then you will have wasted your time and money. However, your marketing can be used to show how dedicated you are to helping your patients, which in turn will win them over and back up any other claims you make. One of the best ways to do this is with dental posters. In practically every dental practice, you will see a range of educational information all over the walls. This can be anything from recommendations on tooth brushing to advice on spotting oral cancer. 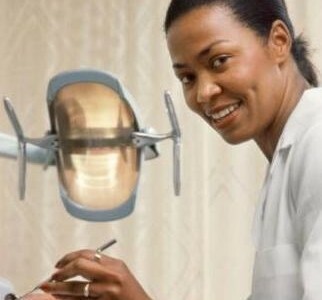 In every case, the posters show your patients that you care about more than making money off them; you want their teeth to be as healthy as possible. What will the subjects of your posters be? A wide range of options are available to you, most of which will help your internal marketing in some way. In general, however, you will want to focus on two topics: dental health information and the services you provide. It might sound trite, but by putting up posters containing valuable dental information you show your patients that you care. This is important. Remember, internal marketing is about getting your patients to recommend you to others. If you come across as a dentist that wants them to be healthy above all else, they are more likely to do so. This is especially true if they end up taking the advice on your walls, so you should make sure it is as relevant as possible. Keep your dental posters up-to-date with relevant issues so your patients are more likely to find it useful; otherwise, you will end up repeating what they already know. You should also inform your patients about services you offer that they might not be aware of. Tooth whitening and other cosmetic procedures are usually good topics for this kind of poster. This will help patients think about how useful your practice is to them. Many people see going to the dentist as a chore, but if you get your patients wanting to come back for another procedure then they will start thinking of you in a more positive light. Once you have decided on the topics of your posters, you need to think about where you will put them. It is not as simple as just sticking them up on the wall, willy-nilly. You need to carefully place them so they have the maximum effect. The first thing you need to remember is not to make your walls seem too crowded. If you put up too many posters, their message will get diluted and people won’t bother looking at them. Spread them out across your practice and try not to fill the walls with too much information. Think about where your patients will be sitting down, whether they are waiting for a check-up or actually in the dentist’s chair. Put the posters somewhere they will naturally look to while they are in these spots. To prevent your posters from looking overcrowded, a good tip is not to have too many clashing and varied colours everywhere. A much better idea would be to opt for a single, unifying theme that will stand out to your patients. You can buy a series of posters, all with different designs but the same visual style. This will help you achieve this. It will make your posters interesting to look at, rather than a disjointed scene that many people won’t bother paying attention to. If you can use dental posters well, you will find that your patients will be much more likely to recommend you to others. They are one of the most common internal marketing tactics for a reason: they work. Should patients be treated more like consumers?